My last photo of Japan was taken from the Kachidoki Bridge looking upstream at the Tsukuda and Chuo Bridges. 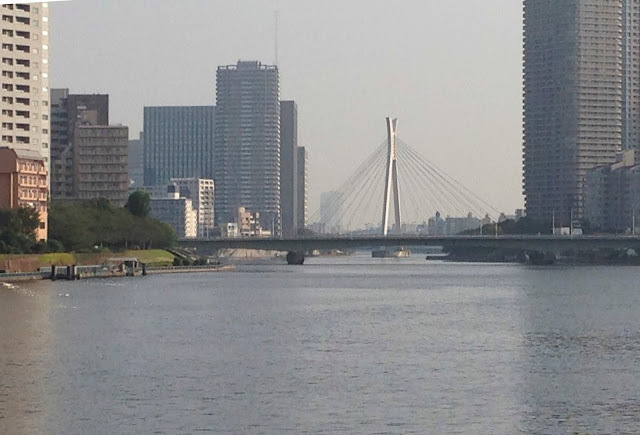 Barely seen in the morning haze is the Skytree Tower behind the buildings on the left side of the river. Although this was my last photo from this trip to Japan, I'll be back next month for the annual US-Japan Bridge Workshop. 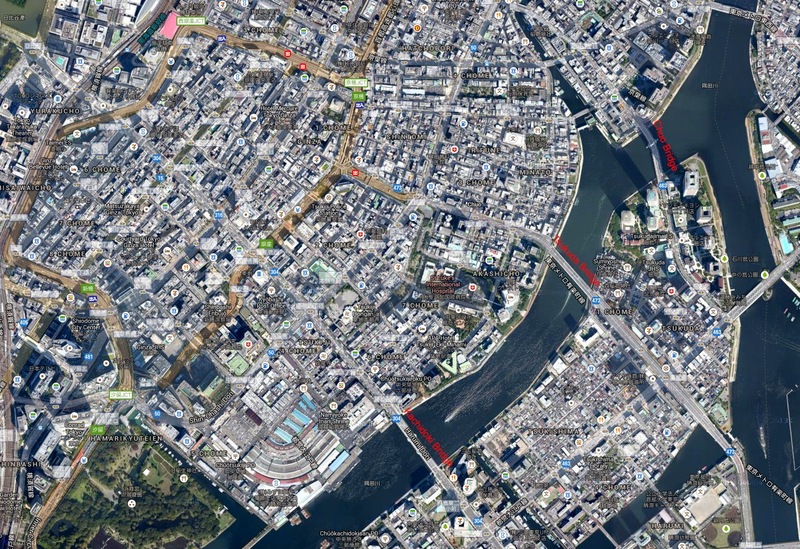 Tokyo Prefecture, Japan's Bridges: Sumida River Bridges by Mark Yashinsky is licensed under a Creative Commons Attribution-NonCommercial-NoDerivs 3.0 Unported License.